Lyon, the third biggest city of France, is well known for its gastronomy and its restaurant the “Bouchons”. These typical restaurants and their food have made Lyon’s reputation: gratin dauphinoise, quenelles, andouillettes and also bugnes and brioche with sugared almonds… To find these “Bouchons” you should go to the most popular neighborhood of the city which is called “Vieux Lyon”. There you can also find “traboule”: a passageway between buildings where you can enter through one street and going out through another street. 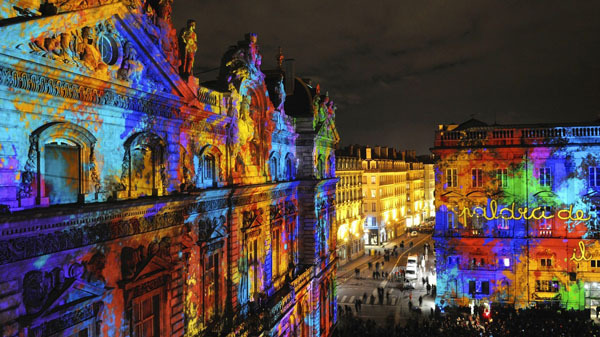 During the 8th December, for La Fête des Lumières light shows are projected on the most important buildings and places of Lyon. Dance, music, theater, cinema festivals are also organized. Since Lyon was the capital of the Gaul, you can also visit antiquity places. Many museums are gathered in the city like the museum of Miniature and Cinema where you can see all the techniques of special effects and miniature’s scenes of famous movies. If you love to get lost in the city, Lyon is famous for its beautiful landscape and particularly its park: Le Parc de la Tête d’Or. This park, of 117 hectares, is in the center of the city and has a free zoo as well as a legend follows its history: the ancient owner of the park is hidden in the lake, in the head of a lion made of gold. 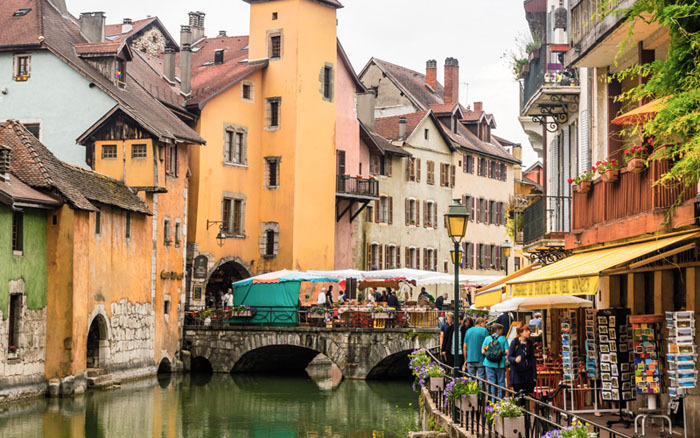 You can also go to the food market on the riverside of the Rhône and the Saone, the two rivers which split Lyon in tree parts. In “Croix-Rousse”, another neighborhood, street arts are gathered, “trompe l’oeil” and a great view of the whole city. Lyon is maybe not the capital of France but it has many things to offer you and all of them are just waiting for you!